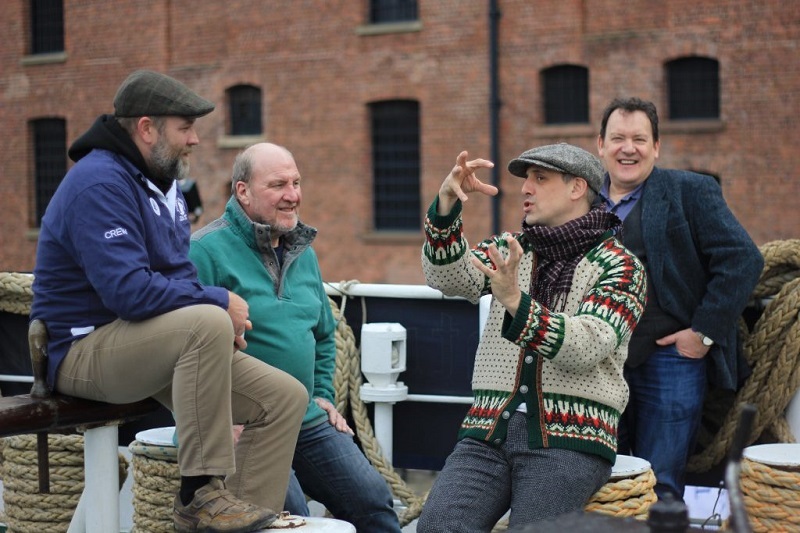 The Sea Men are a Yorkshire based 5-piece band specializing in sea songs and sea shanties. 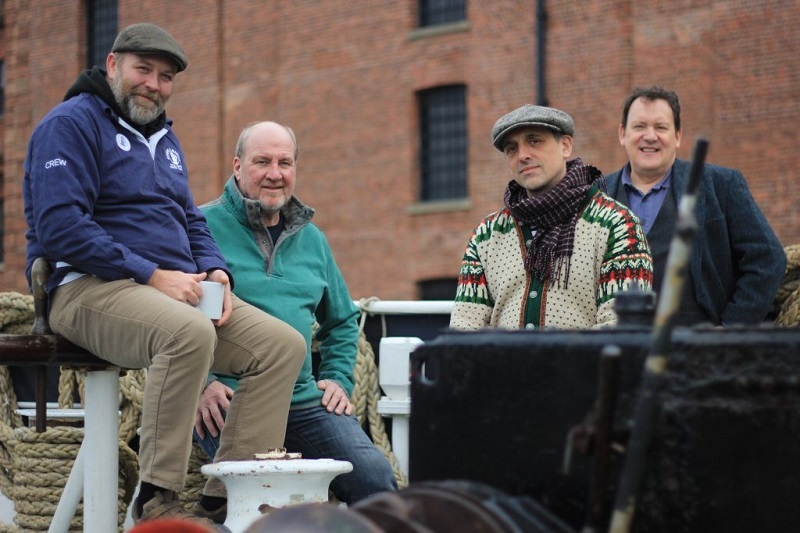 Formed in the summer of 2001, The Sea Men quickly became hot favourites on both the folk music and maritime festival circuits where they are in great demand and their popularity is endorsed by the fact that they are constantly requested to return soon. 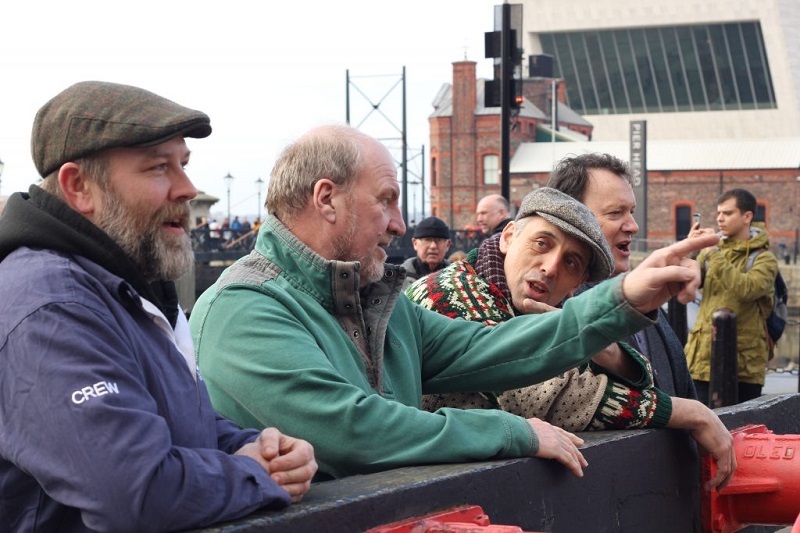 Sea Shanty Band, The Sea Men have travelled internationally including Fanoe in Denmark, Stonehaven in Scotland, and Sixmilebridge and Clarinbridge in Ireland. At home in England they’ve performed as far north as the Scottish borders in Northumberland and Maryport in Cumbria, as far east as Deal and as far south and west as Falmouth. Jersey is also a regular firm favourite with the band. They’ve played solo concerts in theatres in Halifax, Sudbury, Ledbury, and Exmouth. 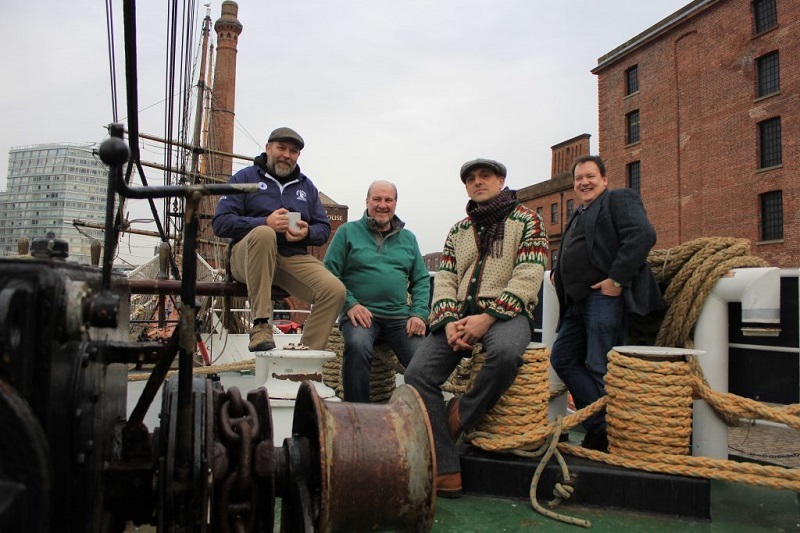 The Sea Men have released four CDs, the latest being a double CD entitled “The Strength of the Swell”. There is also a double CD recorded live in concert called “In Port” and two single CDs – “See You When the Sun Goes Down” and “Dont Take the Heroes”. 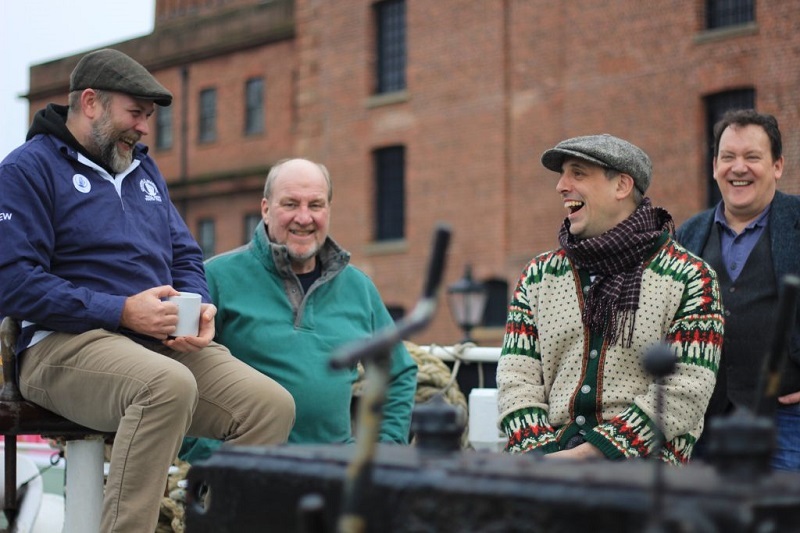 The Sea Shanty Band have performed on BBC 4 and BBC2 TV programmes Sea Songs. Brilliant as always, outstanding harmonies!